The classic memory game, with a twist. 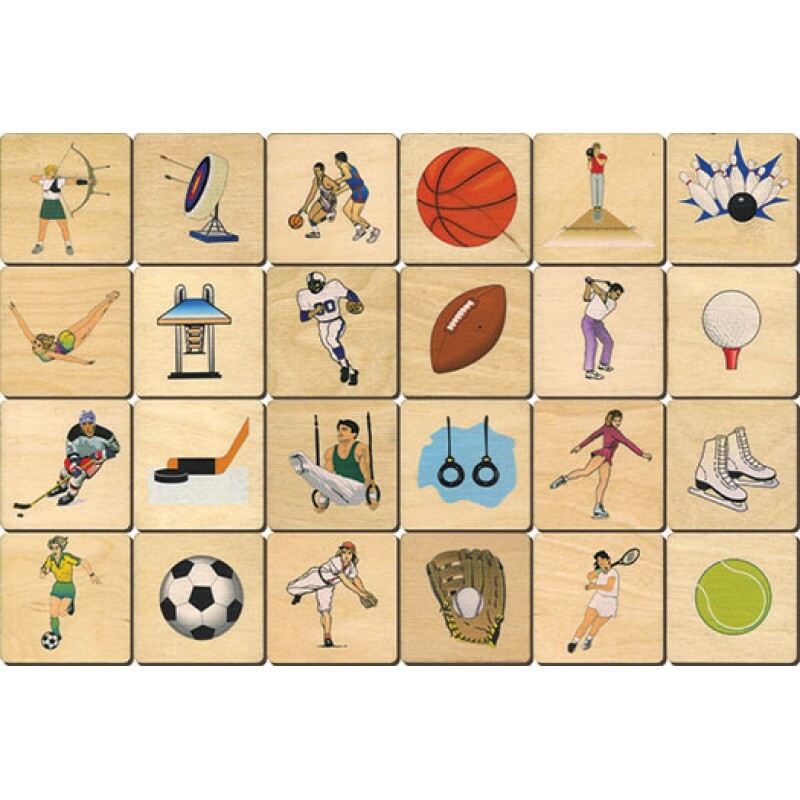 The set has twelve different sports themes. The matching isn't to pair exact images but to match sports. For example skater and skates. Great for learning matching, extended to the understanding of complimentary images. 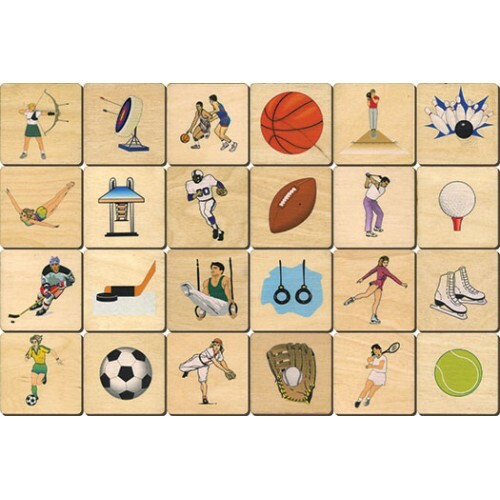 Sports Memory Tiles comes with 24 tiles (12 pairs) with a brightly colored sports themed images on one side and the Maple Landmark logo on the other. Each tile measures 2-1/2" square by 1/8" thick and is cut from high quality birch plywood. A cloth pouch for storage and instructions are included.